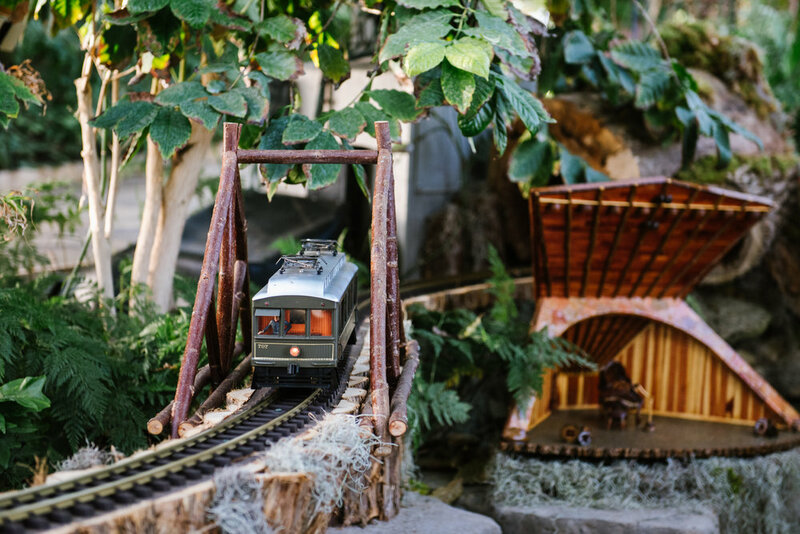 Be transported to a magical miniature world as six G-scale trains and trolleys run down, around, and above you - all in the lush tropical setting of the Nicholas Conservatory. 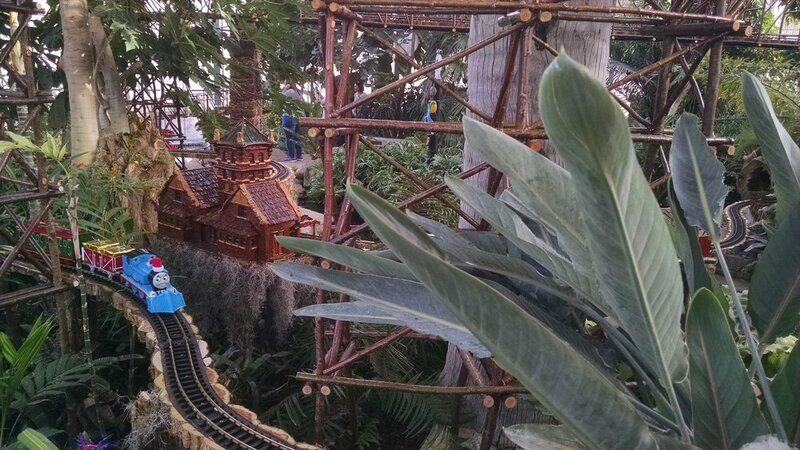 Miniature Rockford landmarks and willow trestle bridges add to the enchanting ambiance. 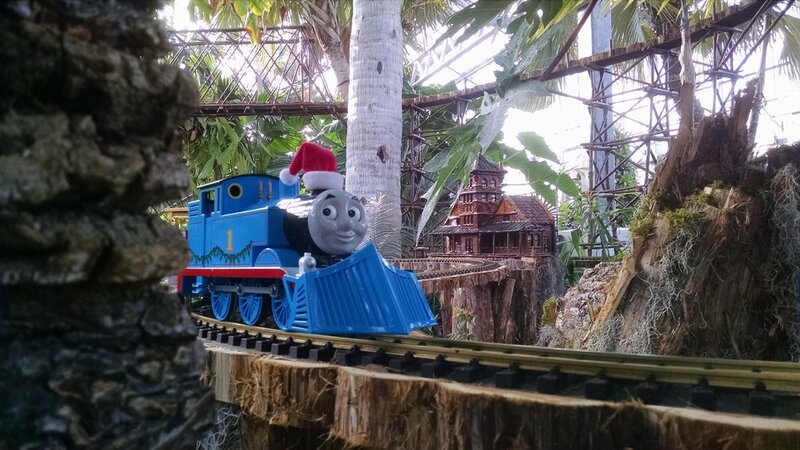 Sinnissippi Station Garden Train Exhibit was established through a grant from the Nicholas Family Foundation. 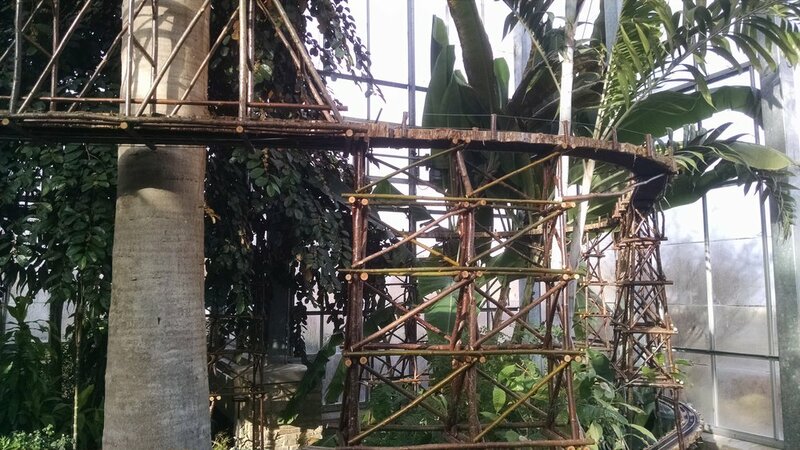 Nicholas Conservatory opened in 2011 as the Rockford Park District’s centennial project. The project was funded entirely through public donations and grants, with the Nicholas family as the lead donors, naming the facility in honor of their parents William and Ruby Nicholas. The Nicholas family envisioned the conservatory and surrounding gardens as a gathering place for the community and as a catalyst for development along the Rock River. 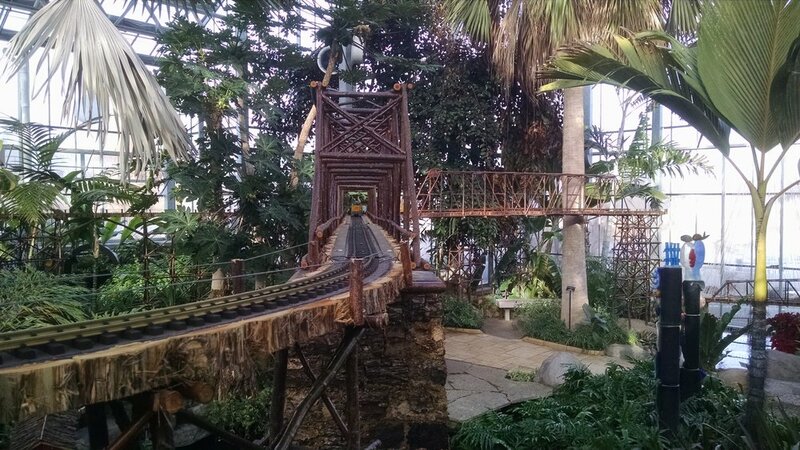 The Conservatory houses over 3,600 tropical plants and trees in an 11,000 square foot exhibition area. Located near the intersection of North Second Street and Auburn Street, the 30-ton Symbol stands watch along the Rock River. Symbol was sculpted by Russian-born artist Alexander Liberman in 1978 as an homage to Rockford’s industrial heritage. The sculpture was originally located in the downtown Rockford pedestrian mall. When the pedestrian mall was reverted to roadway in 1984, Symbol was disassembled and moved to its current location along the Rock River where it has become a prominent piece of public art and a Rockford icon. Dedicated in 1950, the Sinnissippi Music Shell, located in Sinnissippi Park, can accommodate 1,000 people on benches and an additional 3,000 people on the lawn and terraces. Since 1970, the Music Shell has been the home of the popular summer performance series Music in the Park presented by the Rockford Park District. Over 9,000 people enjoy a variety of performers at Music in the Park, sponsored by MembersAlliance Credit Union. The concert series runs from June through August each year. The Illinois Central Railroad Depot was built in 1888. In the late 1800, over 60 trains a day came through the station located on Rockford’s Main Street. The Depot was demolished in the early 1950s to make way for a new station. The trolley barn is located in Rockford’s Riverview Park and houses Trolley Car 36. The barn was built in 1983. The trolley bar burned in 2007, damaging Trolley Car 36 with it. The barn was rebuilt shortly after. Sinnissippi Riverfront Park was Rockford Park District’s first park, purchased in 1909. Rockford Park District commissioner, and future Rockford mayor, Robert Tinker oversaw the installation of the gardens, donating his time and landscaping expertise. In 1924 the trellises were constructed to mark the north and south ends of the newly installed Sinnissippi Rose Garden, which included over 3,000 roses. The 32 foot diameter floral clock was constructed in 1984 as a joint project between the Rockford Men’s Garden Club and the Rockford Park District. The floral clock, as well as other upgrades to the garden, was the Park District’s 75th anniversary project and was to be completed before hosting the National Men’s Garden Club annual meeting in 1987. The floral design in the clock changes each year and is designed, planted, and maintained by Nicholas Conservatory & Gardens staff. The Jefferson Street Bridge was constructed in 1926 to help ease vehicle traffic on the other downtown Rockford bridges spanning the Rock River. The bridge was originally called the Peach-Jefferson Street Bridge as it connected Peach Street on the west side of the river and Court Street on the east side. The Daughters of the American Revolution petitioned for the bridge and streets be renamed to “Jefferson Street” and “Jefferson Street Bridge” in 1926 as an homage to the 150th anniversary of the signing of the Declaration of Independence and the 100th anniversary of Thomas Jefferson’s death. 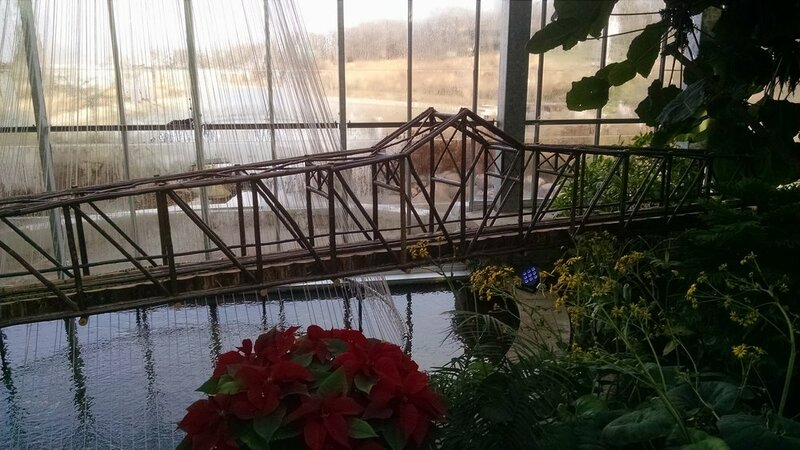 The Amerock Bridge was constructed in 1970 and spans Kent Creek at Lockwood Park Children’s Farm in Rockford. 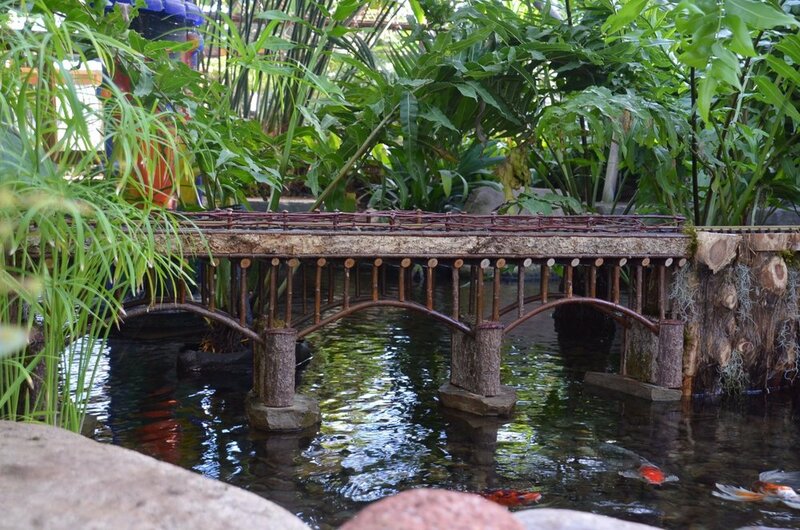 The bridge was donated by Amerock Corporation. The Rock River Bridge was constructed in 1914 and 1918 and spans the Rock River in Rockford. The bridge was closed to rail traffic in 2012, then reopened as a pedestrian bridge in 2016. Pecatonica River Bridge was built in 1887 and spans the Pecatonica River just north of Freeport. It was used as by the Illinois Central Railroad until it was transformed into a pedestrian bridge as part of the Jane Addams Trail. Though rail travel had been popular since the 1850s, especially for in an industrial city like Rockford, the turn of the century saw the introduction of interurban rail cars that linked cities with outlying suburbs. Interurban cars ran from downtown Rockford to Cherry Valley, Belvidere, Winnebago, Pecatonica, Freeport, Roscoe, Rockton, Beloit, and Janesville. The Rockford & Interurban was wildly popular at the turn of the century, however as the popularity of automobiles grew in the 1920s the interurban saw a decline. On July 4, 1936 Rockford’s last streetcar, No. 805, was burned in ceremony of the end of streetcars and the beginning of city busses for public transportation. Rockford has a long history of manufacturing – everything from furniture, heavy machinery, watches, and even pianos! 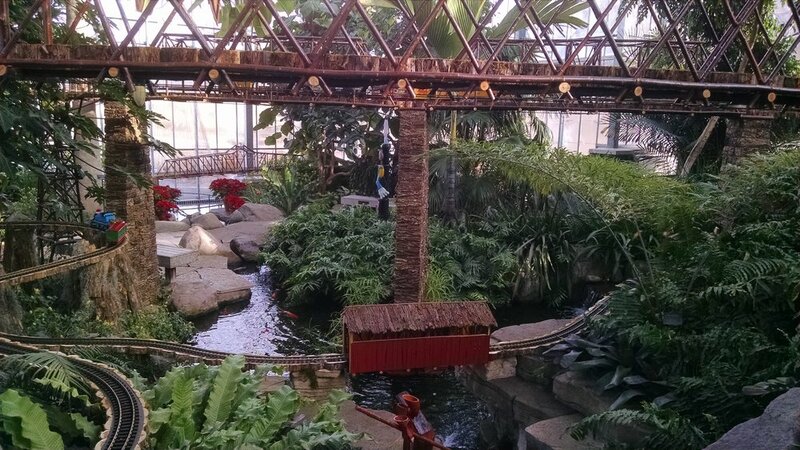 Railroads were the primary way to get goods to markets around the country from the 1850s up through the 1970s. Though trains slowly gave way to tractor-trailer and interstate roads, railroads do still move goods through Rockford today. 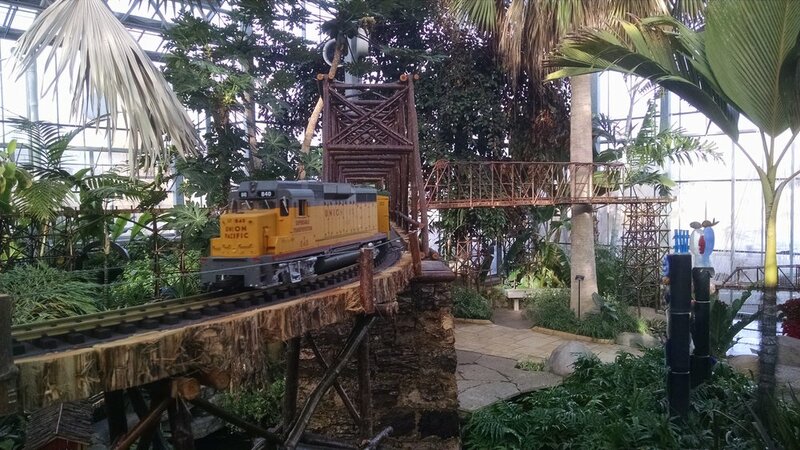 In fact, the Union Pacific still operates on the rail line adjacent to Nicholas Conservatory & Gardens!